Here is the riveting story of the Russian Revolution as it unfolded. When Russia's last tsar, Nicholas II, inherited the throne in 1894, he was unprepared to do so. With their four daughters (including Anastasia) and only son, a hemophiliac, Nicholas and his reclusive wife, Alexandra, buried their heads in the sand, living a life of opulence as World War I raged outside their door and political unrest grew. Deftly maneuvering between the lives of the Romanovs and the plight of Russia's peasants and their eventual uprising, Fleming offers up a fascinating portrait, complete with inserts featuring period photographs and compelling primary-source material that brings it all to life. History doesn't get more interesting than the story of the Romanovs. In 1941, fifteen-year-old Lina, her mother, and brother are pulled from their Lithuanian home by Soviet guards and sent to Siberia, where her father is sentenced to death in a prison camp while she fights for her life. Vowing to honor her family and the thousands like hers, she burys her story in a jar on Lithuanian soil. Based on the author's family and includes a historical note. Consider this one "ripped from the headlines" circa 1941. In September 1941, Adolf Hitler's Wehrmacht surrounded Leningrad in what was to become one of the longest and most destructive sieges in Western history—almost three years of bombardment and starvation that culminated in the harsh winter of 1943-1944. More than a million citizens perished. Survivors recall corpses littering the frozen streets, their relatives having neither the means nor the strength to bury them. Residents burned books, furniture, and floorboards to keep warm. They ate family pets and—eventually—one another to stay alive. Trapped between the Nazi invading force and the Soviet government itself was composer Dmitri Shostakovich, who would write a symphony that roused, rallied, eulogized, and commemorated his fellow citizens—the Leningrad Symphony, which came to occupy a surprising place of prominence in the eventual Allied victory. This is the true story of a city under siege and the triumph of bravery and defiance in the face of terrifying odds. It is also a look at the power and layered meaning of music in beleaguered lives. Anyway... an improverished Russian country girl named Elena Rudina and an aristocrat named Ekatrina meet and set in motion an escapade that includes mistaken identity, a monk locked in a tower, a prince traveling incognito, and the witch Baba Yaga. BABA YAGA, you guys! At the edge of the Russian wilderness, winter lasts most of the year and the snowdrifts grow taller than houses. But Vasilisa doesn't mind—she spends the winter nights huddled around the embers of a fire with her beloved siblings, listening to her nurse's fairy tales. Above all, she loves the chilling story of Frost, the blue-eyed winter demon, who appears in the frigid night to claim unwary souls. Wise Russians fear him, her nurse says, and honor the spirits of house and yard and forest that protect their homes from evil. After Vasilisa's mother dies, her father goes to Moscow and brings home a new wife. Fiercely devout, city-bred Vasilisa's new stepmother forbids her family from honoring the household spirits. The family acquiesces, but Vasilisa is frightened, sensing that more hinges upon their rituals than anyone knows. And indeed, crops begin to fail, evil creatures of the forest creep nearer, and misfortune stalks the village. All the while, Vasilisa's stepmother grows ever harsher in her determination to groom her rebellious stepdaughter for marriage or confinement in a convent. As danger circles nearer, Vasilisa must defy even the people she loves and call on dangerous gifts she has long concealed—this, in order to protect her family from a threat that seems to have stepped from her nurse's most frightening tales. Did I miss any of your favorite Russian titles? Let me know in the comments! 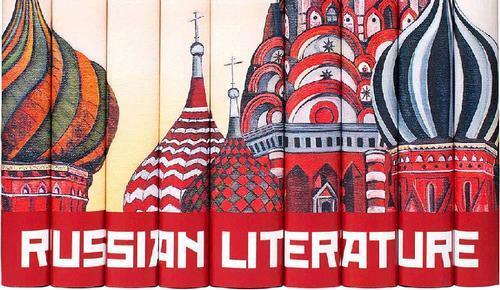 Heat up (or cool down) your summer reading with these Russian recommendations! Nothing Is Forgotten by Peter Golden a new(2018) book of historical fiction that I am reading right now. The Unwomanly Face of War by Svetlana Alexievich is my recommendation for learning more about Russia; a page turner, indeed. Add a Comment to Conspiracy? Intrigue? Collusion? Read Some Russian History and Fantasy!